Following on from the v1.2 release, which addressed some of the data storage architecture in the app, I’ve been taking some time to review other aspects of the app. The storage architecture is working really well, giving much improved performance as well as giving some enhanced ways of using and displaying the data within the app in the future. Where the app is still struggling is when it comes to addressing the many and varied firmware and hardware versions. The original app was first written at a time when MS2 was cutting edge and MS2-extra was still in beta. As a result it seemed pretty straight forward to do away with the need for the app to ask the user which firmware was being used, possibly supplying a .ini file to use. These days, however, the number of firmware and hardware versions is staggering and it seems that it is increasingly difficult to reliably decode the data from the different revisions even within the same firmware version. So, my current focus is on producing a “universal” parsing engine within the app. 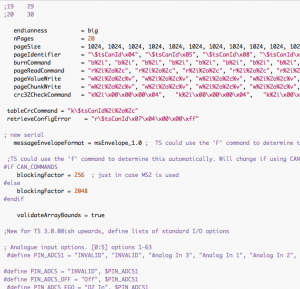 Where currently the app has a number of hard coded parsers, one for each firmware version, this new one will effectively use the .ini file for it’s decisions allowing new firmware versions and revisions to more easily be supported. To avoid having the app processing the .ini file itself these will be pre-processed and the relevant data shipped with the app although these pre-processed files will also be updated from a web service, allowing new firmware versions to be supported without an app update. The effect on performance in the app is yet to be gauged but should performance be reduced due to the “universal” parser I may end up retaining the hard coded parsers and only using the universal one for firmwares not supported in hard coding. I have submitted the current TestFlight version (v1.2 build 347) to the App Store for review. The App will be reviewed by Apple to ensure it meets the necessary standards and policies and, if accepted, will be made available on the App Store shortly afterwards. The iPad screens are functional but need some work on them but, for the moment, I’d rather get a working version back on the App Store and fix the iPad screens in a later release. The app does support iPad multi-window mode though and, currently looks nicer that way ! As a side project I’ve been playing around with the possibilities for a cheap WiFi adaptor to support the app, as an alternative to Bluetooth. This has been bubbling away for a while now but today I finally got to spend some more time on it and have a simple working prototype that allows the WiFi module to be configured via a web interface, including password protection, baud rates, WiFi access point name. You can also get it to connect to another WiFi network. I’ve tested this against MS1 and MS1/Extra and all seems well so I’ve updated/created the user manual pages with details on how to build this adapter. I’ve also had it running with MS2/Extra now without any issues. Apple have removed the app from the App Store as the app doesn’t natively support current processors. As a result of a lack of feedback and any interest in testing the app from users, I have not released the new version of the app that was in development and the project is currently on hold indefinitely while I devote my time to other projects that are better supported by the user base. That said, I still expect to come back to this project at some point if only for my own use on my own vehicles. When that will be will be determined, as ever, by the amount of free time I have available. Breadboard prototype of a very cheap WiFi to RS232 adaptor. I now have a functioning WiFi to serial adaptor built from three components that are freely available as ready made modules. 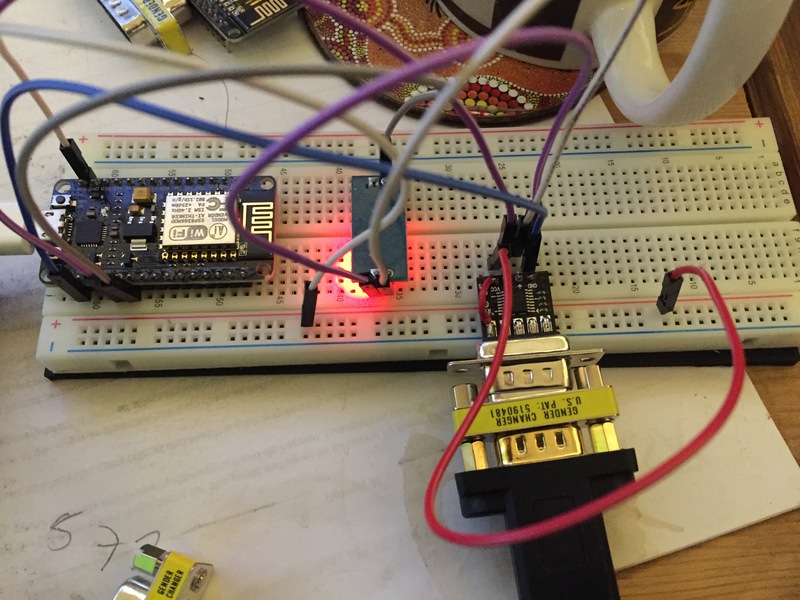 All that is required are a few wires to connect them together and to load the software onto the WiFi module using a USB cable and the Arduino IDE. I’ll be putting together a complete description and a list of the components once I put the Arduino sketch on github. 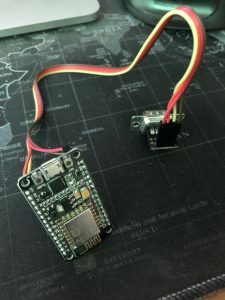 The adaptor uses a NodeMCU WiFi development kit to supply the WiFi access point and to run the sketch that provides the connectivity. This is then connected to the MegaSquirt ECU via an UART to RS232 adaptor module. In order for the complete module to run from the 5V supply from the MegaSquirt serial port, it needs to use a 5v to 3.3v dropper module in the TX line from the RS232 module to the NodeMCU. 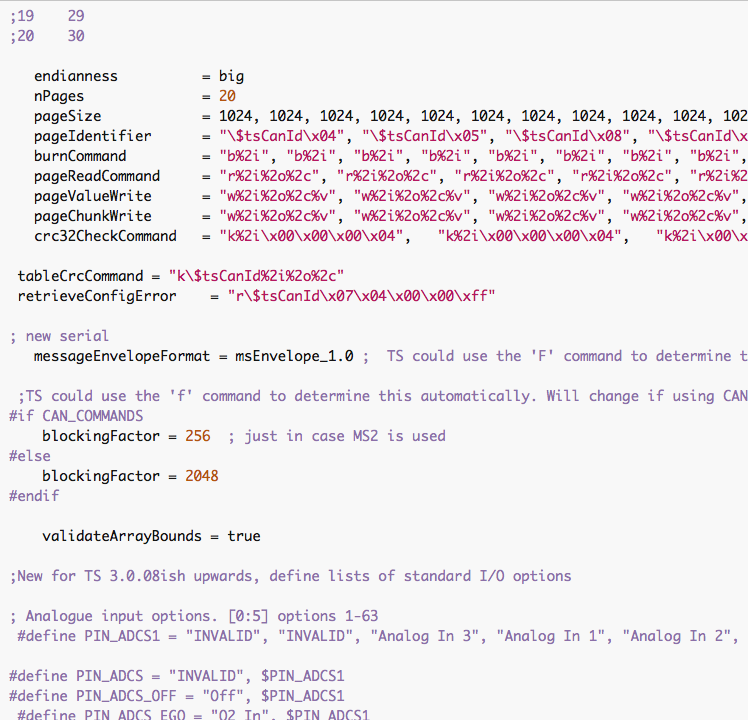 The module (via the firmware) provides a web interface to allow it to be configured for MS1 or MS2 (change baud rates). You can define the WiFi Access point name and also secure it with your own password. You can continue to use the internet via 3G while connected to the access point. The open source firmware will allow those who want to to add their own functionality to the link.